Are you a tweedy user and always in a worry of dropping down your smartphone from your hands? Then there is no solution for your slippery hands but yes you can have the alternative to it, and that is the bumper case which offers excellent protection to the smartphone. Check out our suggestion. In a lot of cases, simplicity and slim profile is the key. But with the bumper case, the only key is to offers the best possible protection to the phone from heavy impacts like dents and dings or can say drops, falls, shocks, and other heavy damages. And the same things apply when it comes to picking up the latest bumper case. We have picked up and researched many bumper cases for the Pixel 2 phone, and made a list of 10 best bumper cases for the Google Pixel 2. As we have also tested the compatible cases but we think that the precisely made bumper cases are the best at offering the perfect fit and precise openings along with the impressive protection to the phone. Want to add some attractive looking case to your valuable smartphone Google Pixel 2 that maintains the original look of your smartphone? 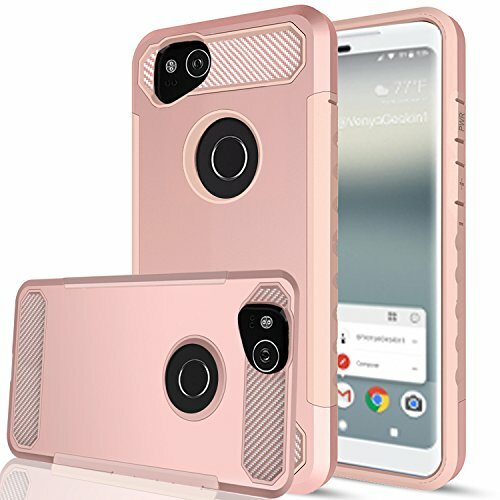 This case from Ringke brand will offer you the best visual and transparent look to show off the natural beauty of Google Pixel 2 phone and ultimate protection to it as well. This clear case doesn’t compromise at the protection level because of the dual layer that use to build the case for more protection to the phone. This dual layer case made of hard PC and premium TPU in which the PC material used to construct the back of the case and a bumper frame is made from TPU. Both of the material offers high-quality clarity along with the easy grip. The coating of on this crystal clear case is two times much tough so that it can protect the phone from drops and bumps while adding minimal bulk to the phone. The case has also passed the test of Military Grade Drop Protection in which the TPU bumper equipped with the Active Touch Technology. The cuts which are made in this case are precisely because of the laser technology. Dual-layer PC panel and premium TPU. Easy grip and highest quality clarity. Crystal clear protection with 2 times tough coating. Dual active coverage with air-cushions protection. MIL-STD 810G-516.6 certified Military Grade Drop Protection. Soft flexible premium edges cover the corners. Precise cuts with laser technology. The case is perfect and tight fit against the phone. It also maintains the slim profile as well. The case offers excellent grip on the phone. After installation of this phone case the phone feels slick. This case is not good for a scratch resistant screen as it doesn’t offer raised bevel at all. No other color options as well. 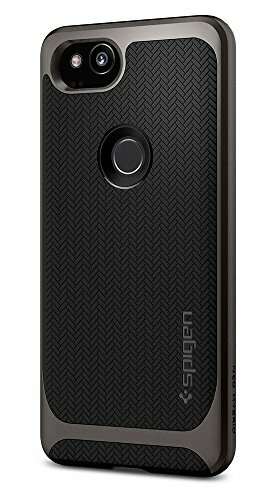 Whenever we talk about the smartphone body protection from any impacts or harms the reputed brand that our editor never forgot to test and that is Spigen. As this brand is the king of the smartphone accessories those are available in the market right away, we have tested this bumper case for the Google Pixel 2 smartphone. This another best and unique looking cases that we have tested and guess what it offers dual layer protection. This case came up with the timeless look to give your smartphone unbeatable drop protection so that it stays as it is as it before. Besides talking about the protection factor, it includes style aspect as well. The material used in this case shockproof material that constructs the back of the case and it adds a rigid bumper frame for the drop protection. 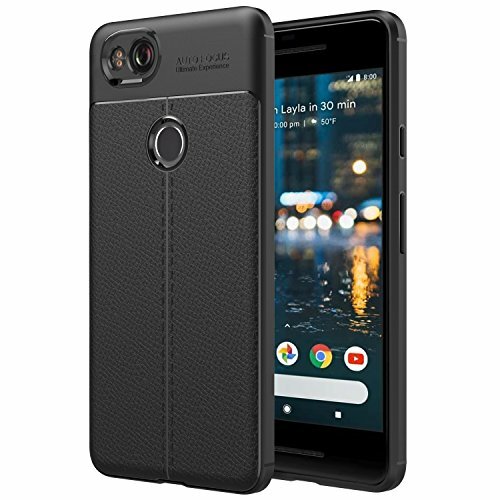 The creation of this case is made in such way to generate one form fitted case for your Google Pixel 2 XL phone. It snugly fits the phone as well as protects well from the scratches and scuffs and drops. The construction of this case also makes it slim and pocket-friendly so that it can easily slide you’re your pocket and even can quickly slide out from the pocket. It offers ergonomic cuts for the functions for quick access to them. The best-seller for its timeless look. Two part design to build shock-absorbent layer. The rigid bumper frame for the drop protection. The ergonomic cutout for quick access. The Neo Hybrid made case stays lightweight and pocket-friendly. The case can seamlessly adapt to any lifestyle. It gives the experience of the latest standard of the protection. It is also available in the white color case. It is little difficult to install. It is quite bulky too. C&U, this brand has already its name and place in the giant market of accessories for the smart devices. Even there is hard competition around the market the brand is capable of to offer the best out their product. The brand offers dual layer bumper case and the way the case look, it is compatible off to offer the look along with the protection from any impact that may harm your valuable device. This case is made from rigid PC that is used to construct the back of the case while keeping it transparent in order to flow out the beauty of the phone. While the TPU that adds protection from shocks and drops. The shock absorbing and flexible TPU material is used to build a bumper frame around the sides of the phone. The TPU made bumper frame disperses the impact that might happen through the bumps and drops. The case is almost invisible and crystal clear that keeps your phone thin and light in weight equally. The flexibility of this case is impressive so that the application of it can be easy. Besides all of the functions, the case protects the screen of your phone as well with its built-in raised bezel. Clear hard PC and TPU material made the case. PC hard back for protection to the phone back. The TPU bumper offers grip. Almost invisible and crystal clear design. Super flexible for easy installation. Raised bevel that wraps around the screen. The case always keeps the original look of the phone as it is. It is available in three different colors. The case is also scratch-resistant. The case is a little bit expensive. The case also little bulky. The bumper case which is the completely transparent case which shows off an original beauty of your smartphone like Google Pixel 2 smartphone. With nine different color options, your will have with this bumper case. With a good reputation in the market, the brand always makes sure about the quality of their product. This bumper case which is made with impact resistant TPU material which is durable material make this case excellently protective. The TPU material contains amazing flexibility that keeps the case snug fit on the phone. It also protects the phone from minor drops, shocks, and scratches. The form fit structure won’t add much bulk to your phone, and it will even make your phone stick to your palm with the non-slip grip function. The user-friendly design also offers easy access to the phone’s ports and other features of the phone. Impact resistant TPU material construction. The flexible TPU material for the snug fit. Non-slip grip and user-friendly design. The case is available in nine colors. The case maintains the natural beauty of the phone. The flexibility of the case makes it the easy installation of it. The case also keeps the body fully covered to provide possible protection. It provides protection against the minimal or minor shocks. The bumpers are a little bit thin. After providing the some well-known brand’s product, have thought to try something from the established brand that offers a quality bumper case for the high-end gadgets. So including many different valuable the brand Tekcoo come up with the bumper case which is completely made for the Google Pixel 2. 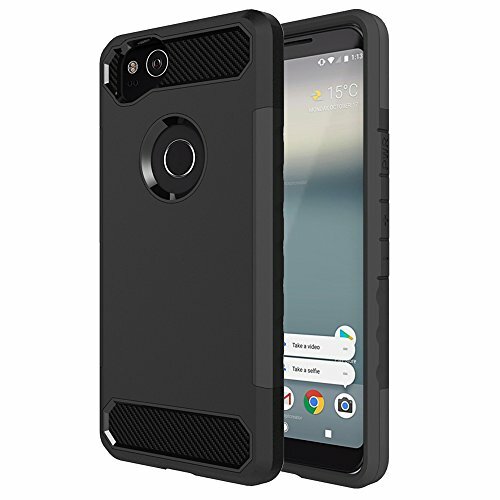 This dual-layer case offers rugged armor construction for the Google Pixel 2 smartphone. The outer layer of this case is all made from rubberized PC material that keeps the phone away from impacts like drops and bumps. And the silicone material made an inner layer with cushion shield that protects the phone completely. The convenient design of this case makes easy access to the phone’s function. It comes with reinforced corners that increase the shock absorbing functionality of the case. With the ergonomic grip design comes with the raised lip for the screen protection. Dual layer armor rugged case. Rubberized PC for the outer layer. Silicone material for inner layer cushion and shield. Convenient design for easy access. Reinforced corner optimize shock absorbing. Raised lip for screen protection. The brand offers the lifetime warranty with this bumper case. The case is the excellent pick for both the gender like boys and girls. 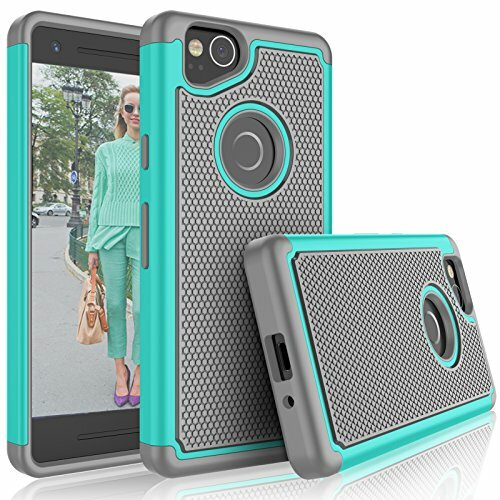 The inner honeycomb pattern of the case absorbs as well as disperses the shock from bumps and drops. It is sturdy and does its job very nicely. The case is very bulky. If you are looking for the professional looking case this case is not for you. If you are in a seek for the bumper case with the single piece construction that offers soft and flexible feel while also giving the good protection from the drops and bumps, then you might want to take a look at this case from the well-named brand Moko. With this brand, we can trust the product because it is having the amount of satisfied customer. But still, after testing this product well, we have come up to present this case to you. 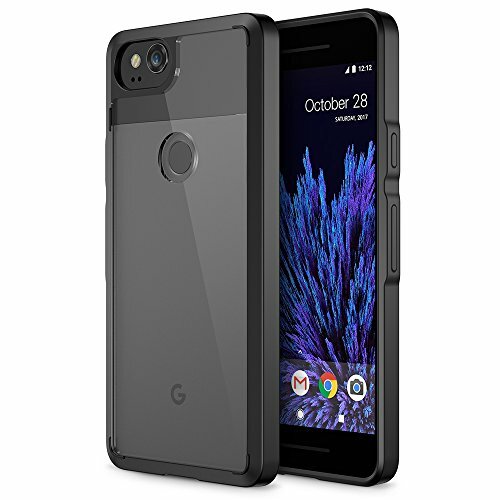 This Google Pixel 2 bumper case is made from soft and flexible TPU material which is also shock-absorbent and can protect the phone very well. The built-in web-like texture at the inner back panel keeps the phone scratch free and scrape free. And the PU leather grip pattern at the back of the case adds luxurious design and make this case look professional while having the protective function. The ultimate comfortable hand feeling is the most interesting part of this case and the brand even keep the main feature in the mind that is providing the precise opening for the pots. Soft, flexible and shock-absorbing TPU material. Built-in web-like texture at the inner back panel. PU leather pattern and luxurious design. Precise cuts offer you all access to ports. This case is very slim and adds no much bulk to your phone. The case quality is very nice, and the rubber material is not sticky. It has a little amount of the lip at the front of the case to protect the screen. The raised lip doesn’t eat up that much space of the screen. The color that is available in red that doesn’t offers red color at all. The case is little difficult to install. We have another reputed brand, the E-outfit. The brand offers a bumper case that is the dual layer bumper case. 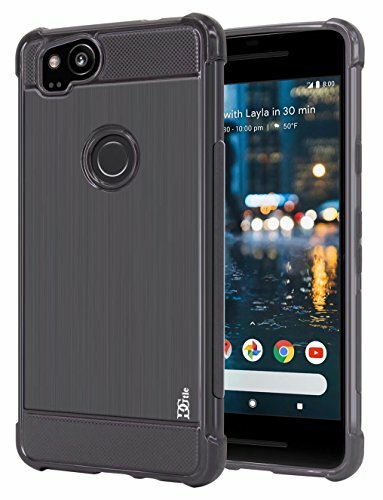 And this case is a combination of TPU and PC material and this is what makes this case purely capable of to give the phone an easy installation. While the case also gives relief from having any hassle while installing it because of the flexible inner layer that makes it flexible to install without stretching the phone or having getting loose. The back panel which is entirely made from the PC material keeps the touch smooth while keeping the sides grippy for more grip. With soft bumper at inner layer made of TPU material is compatible of disperses the impact equally so that it can provide reliable protection against drops and shocks. With the soft bumper, the best part is anti-slip finish for excellent grip while holding it. And the precise cuts of the case is pretty well to quick access the features of the phone. Soft TPU made the inner layer with the bumper. Soft-bumper with an anti-slip finish. Safeguards phone from bumps and drops. With two different color and combinations, it offers excellent protection. It is a durable product that can even please your clutch. It keeps the screen, and the cameras raise off the surface. The case contains little more weight. The case is quite big. 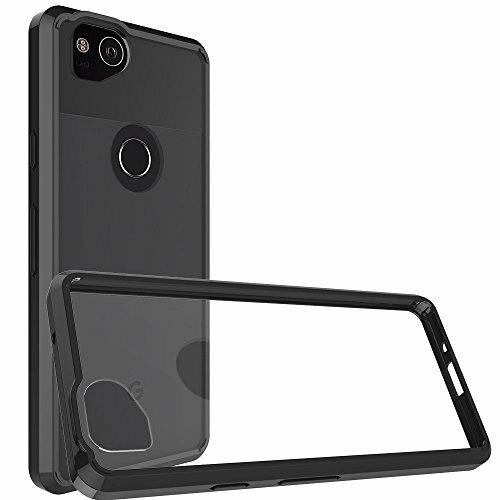 After all the above bumper case here we have now the best pick for the Google Pixel 2 smartphone and that is from the Trianium brand. 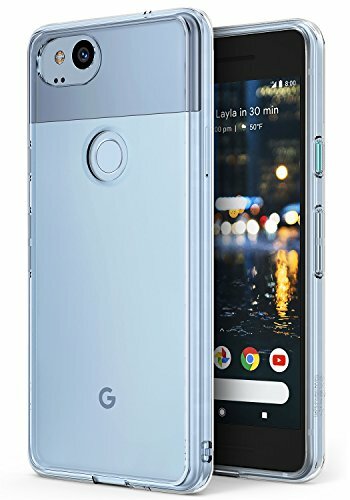 With the affordable price if we say the bumper case looks absolutely attractive on the Pixel 2 phone then it won’t be wrong. With the protection function, the brand made its mind to offer something that also adds attractiveness. The case is all made from the shock absorbent TPU material and rigid and protective PC material. The shock absorbent TPU is used to make the reinforced corners cushion and PC material that always that to keep your phone’s back scratch free and scrape free to maintain the original beauty of your phone. With clarity feature, it maintains the original beauty of Google Pixel 2 phone. The brand even thinks that the screen and the rear camera of the phone is also an essential part that also needs to be secured and that’s why the built-in raised bezel is there to protect the phone screen and the camera. The case comes with the lifetime warranty by the brand as well. Shock-absorbent TPU and hard PC made the case. Maintains the original beauty of the phone. Raised bezel for screen and camera protection. It has a minimalist design. This case doesn’t add that much bulk to the phone. It is simple and versatile for the Pixel 2. This looks great and very easy to use too. The buttons are a little bit hard to press. The clear back picks up tons of fingerprint smudges. 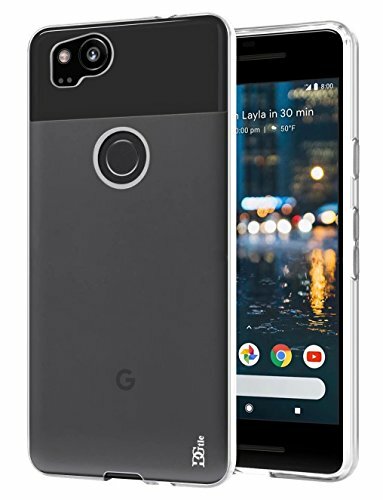 Here is another best option in this list of the best bumper case Google Pixel 2 that offers great sturdy and stylish back. This dual layer and a heavy-duty case made with the flexible TPU that is used at inner layer and the hard PC that is used to construct the outer shell. The dual layer case protects from the drops, shocks, scratches, and scuffs that helps to keep the phone new as it was before. The sturdier construction of the case offers front raised bezel for the included protection for the screen and camera. The sides of the case also support anti-slip functionality, so the case is even suitable for users with butter fingers. The brand offers 30 days of refund/warranty/replacement to its users so that in any case they have an issue regarding the case they can take advantage of this 30 days warranty period. Flexible TPU made an inner layer. Hard PC made outer shell. Front raised bezel for added protection. 30 days warranty or replacement or refund. The case offers completely heavy duty look. The case is sturdy and holds the phone accurately. It is pretty thick to fight well against the drops and bumps. The thickness of the case makes the phone little bulky. Are you one of those who wants to keep their phones look stylish while adding the little bit of transparency of their phone’s beauty? Well, this case from DGtle here is one of the great options for those who love to add that type of factor to their smartphone like Google Pixel 2. With a shockproof grey color, the brand offers little transparent case, especially for the Pixel 2 phone. This single piece case is made a unique material to keep the phone case light and sleek while adding excellent protection factor to the phone. This case is made from the top quality, soft and flexible TPU. The material is even impacted resistant that is capable of to absorb the impacts like drops and scratches completely. The design of this case is unique that snugly fits the phone and the user-friendly mechanism that used to offer the precise cuts and easy snap on and snap off application. The construct of this case made the case profile anti-slip. Ultra slim and form fitted design. Shock absorbent and shock resistant. Snug fit but flexible to install. The case comes with tactile buttons that cover the button entirely. The headphone jack cut out offers anti-noise hole function. It fits the phone like a charm. The soft plastic works with the squeeze feature as well. It doesn’t offer that much protection. Material that is used in the case is fragile. All these collected case are well tested to provide you the best suggestion. Pick the one that you think that worth to fulfill your needs.